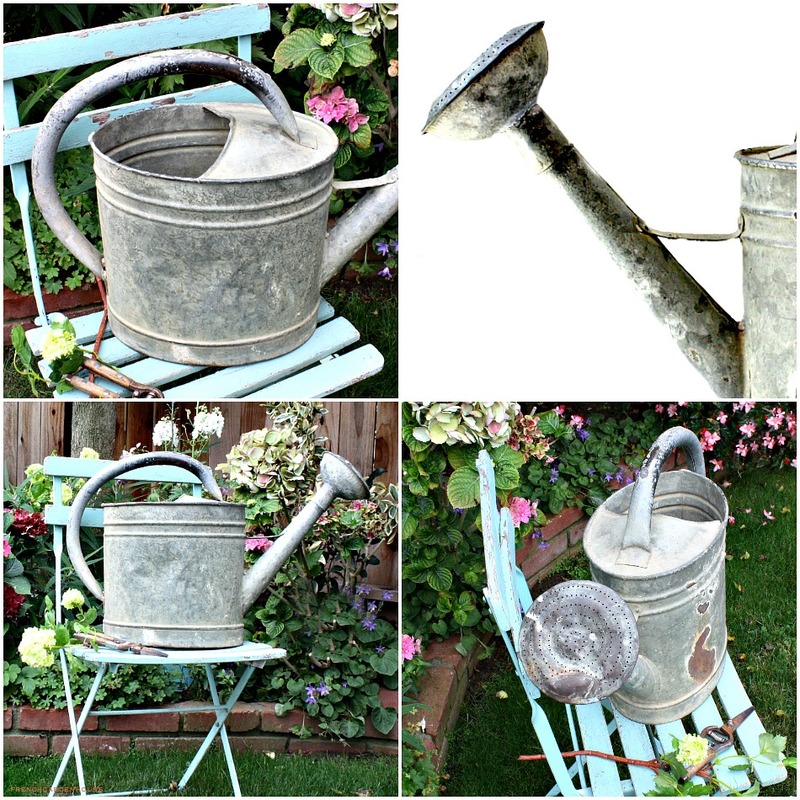 Fabulous decorative 19th century French Watering Can, with a detachable copper rose and a wonderful time-worn patina surface. 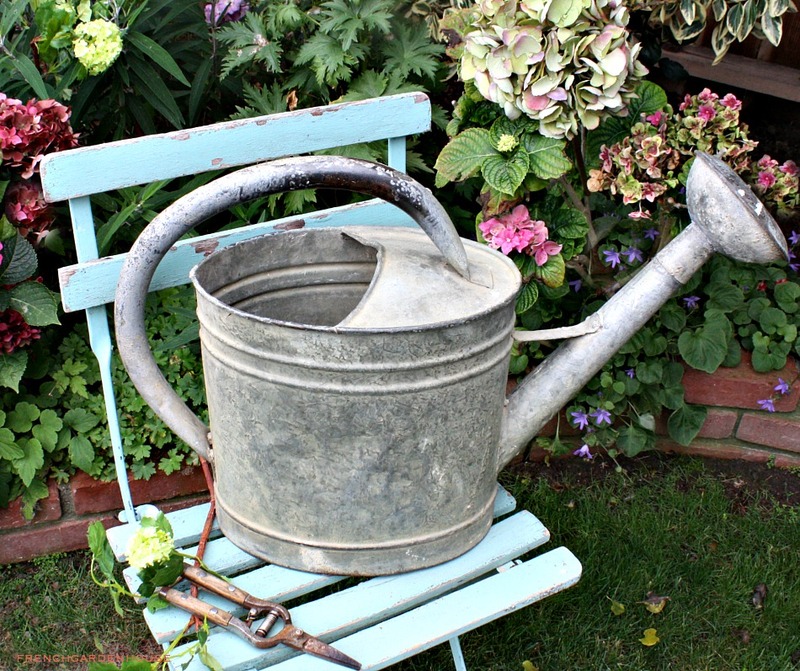 As useful as the day it was made, and perfect for display with your other hardworking vintage watering cans in your garden house, or sunroom. 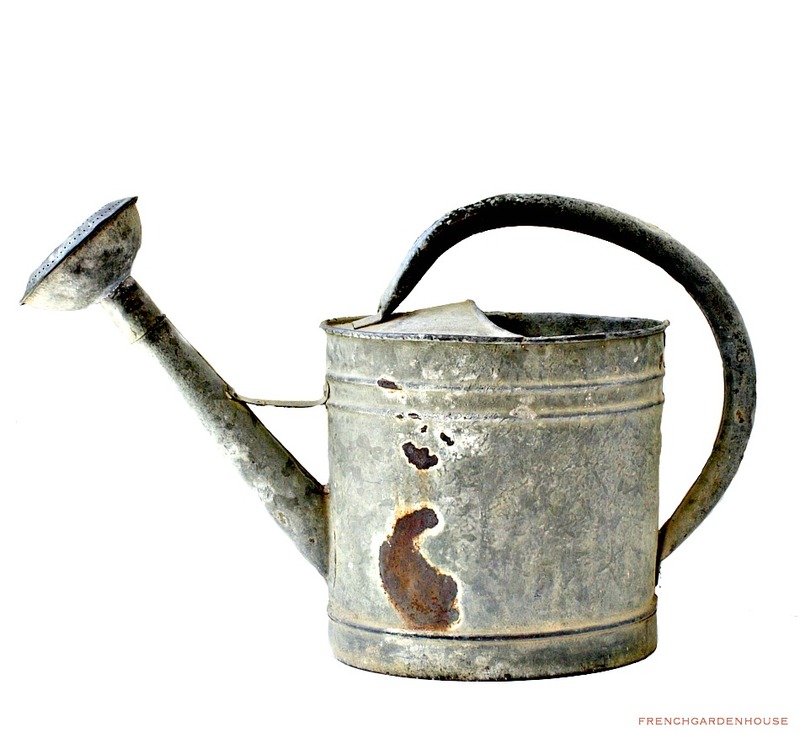 This watering can has the French graceful handle arching from the top of the can to the back. 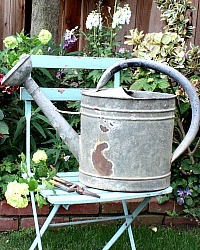 Please only buy this if you don't mind a little shabby to your French treasures, this beauty has all the wear we love about these old gardening antiques. Measures: 25" x 16"x 8".